Ireland is a beautiful country full of interesting places, but none are more visited than the city of Dublin. 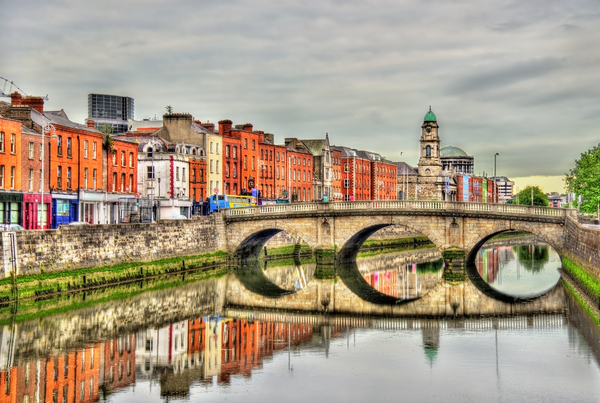 The Irish capital boasts an appealing mix of modern European class and traditional Irish charm. Dublin is full of important historical sites as well as contemporary tourist attractions. The city is also known for its elegant Georgian architecture that can be seen in many buildings. The city boasts an appealing mix of modern European class and traditional charm creating the beautiful city of Dublin. Dublin is divided north from south by the scenic Liffey River. Traditionally, this has also marked the religious and social boundaries that divide Dublin, but visitors are welcome to explore both sides of the fabled city. This area is full of unique shops, restaurants, and pubs, and is the cultural and social hub. Some of the best shopping can be found on Grafton Street. 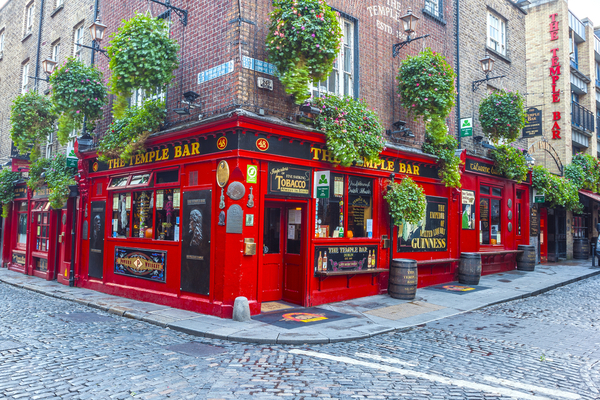 The Temple Bar district was actually built upon ancient Viking ruins. O’Connell Street, also near the city center, is lined with memorials dedicated to famous Irish leaders. For history buffs and fans of medieval times, the highlight will probably be Dublin Castle, located on the highest hill in the city. Originally built in the 900s as a simple Gaelic stronghold, it was converted into a Danish Viking fortress sometime later. In the 13th century, the existing structure was built on the site by King John of England. Another historic landmark in Dublin is St. Patrick’s Cathedral, built in 1220. Literary fans will be interested to know that Jonathan Swift is buried here. Next to the cathedral sits a well where legend has it that St. Patrick himself baptized converts. Today, the church has become the National Cathedral of the Church of Ireland. Other notable historical sights include The Famine Sculpture, a memorial in memory of the terrible 19th century Irish Potato Famine, and Trinity College. This college was founded in 1592 and is Ireland’s oldest university. To this day, it remains one of the most important academic institutions in Ireland and is a central part of Dublin’s culture. 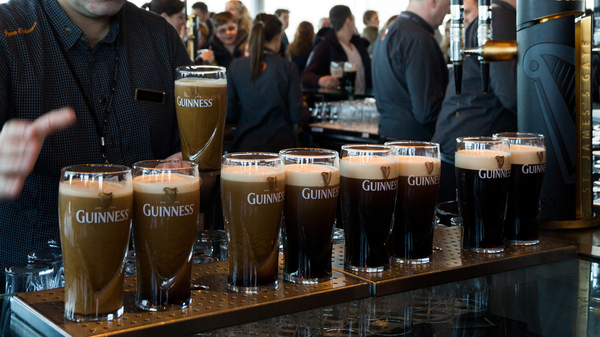 Beer lovers will definitely want to check out the Guinness Storehouse, the home of Dublin’s legendary brew. This popular attraction is located at the St. James Gate Brewery, which has been making Guinness since Arthur Guinness founded it in 1759. Tours and complimentary samples are offered to visitors. Often the best place to start sightseeing is in the heart of the city. This would be the city center and Old Town, which includes Grafton Street, St. Stephen’s Green, and the world famous Temple Bar. There are also many fine squares and parks in Dublin. These include Montjoy Square, home to the Dublin Institute of Technology; and Merrion Square, which offers many examples of the famous Irish Georgian style. A couple of the better parks are the Garden of Remembrance in Parnell Square and the Iveagh Gardens, which have a beautiful fountain and a maze. Dublin contains more park space per square kilometer than any other major European city. The city of Dublin in Ireland is a remarkable historic destination and can be explored as part of a dedicated city break or as part of a wider trip itinerary. 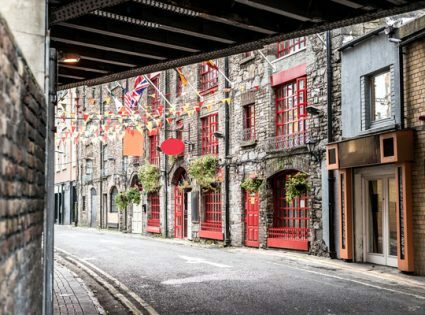 If a trip traveling across Ireland peaks your interest, perhaps you will enjoy dropping into the city of Dublin for a few days to relax and appreciate some unique culture and Irish hospitality. Dublin is a very accessible city either directly or via the United Kingdom or other large European cities. Ireland is a beautiful country that has plenty to offer the avid explorer looking for something a little different.